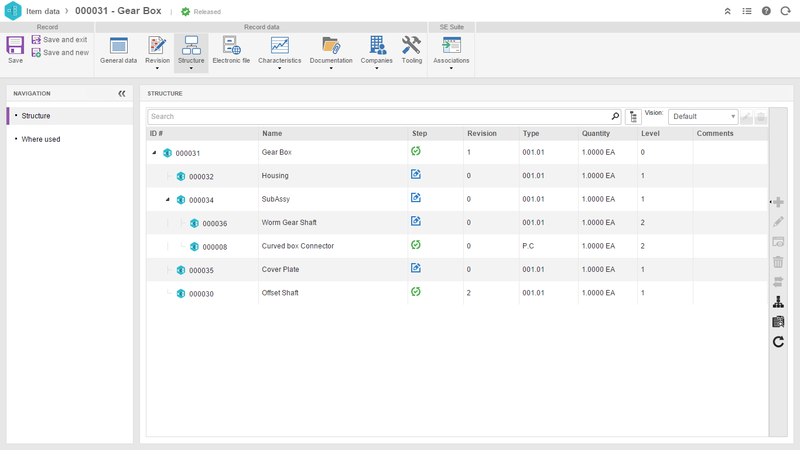 SoftExpert MCAD Connector is a powerful enterprise software, that centralizes product development data and optimizes product development processes. The solution promotes the collaboration and information exchange, besides tracking all engineering changes. The software brings engineering teams and suppliers to the same environment, helping to manage and secure CAD design objects more efficiently and reducing product deviations. SoftExpert MCAD Connector also maintain the proper relationship between CAD objects and the SoftExpert applications product structure structure. It also manages and integrates all part file, metadata and their controlled characteristics. Import current MCAD assemblies and parts into SoftExpert Document or SoftExpert PDM. 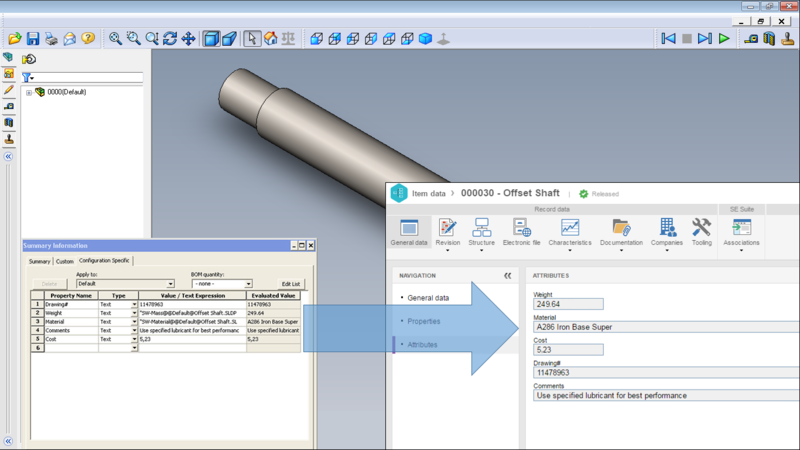 Create system objects (parts/documents) for each CAD object (3D model, 2D drawing, item). Publish 3D CAD models using PDF3D® from imported 3D MCAD application models. Manages and tracks both product data and product development processes. Easily integrate product metadata and other attributes, helping in the identification, discovery, assessment, and management of product. Reduce design time and accelerate product release and change cycles. Keep track of each modified document, managing the full lifecycle. Securely update documents using the concept of check-in and check-out. Maintain the proper relationship between the CAD object's assembly structures and the PDM's product structure. Allow non-MCAD users to have complete access to assembly structure breakdowns and 'where-used' lists for components. 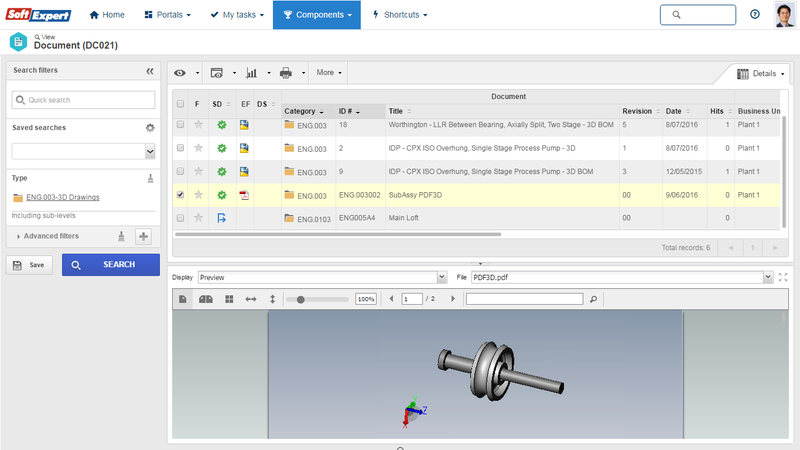 Allow users to select which assembly parts they are going to import to the system. Include notes and markups over the documents during the reviewing processes. 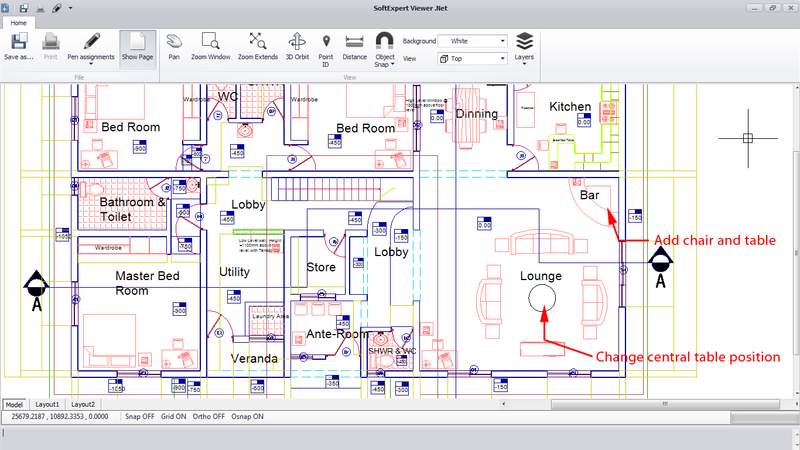 Compare the changes between different revisions of DWG drawings. Synchronize Bill of Materials in real time, in a centralized, revision-controlled environment, ensuring information accuracy and productivity. Recognize any information added, or modified in the CAD drawings, and automatically update this information to the system. Control item revisions from the MCAD application directly into SoftExpert applications, enabling easy processes audits.